First and foremost, you want to stay ahead of your competition. 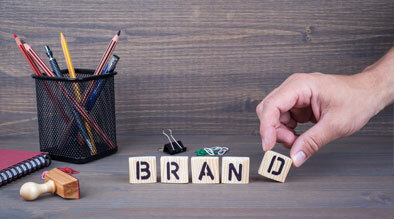 Most likely, your competition is bidding on your brand name. 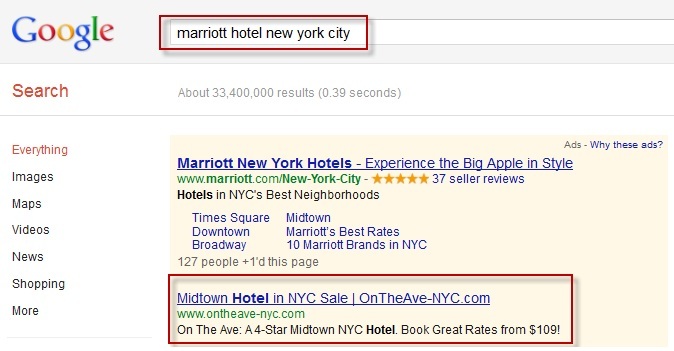 The image below clearly shows a search for a Marriott hotel in New York and a paid search ad for a different branded hotel. On average, bidding on your brand name will have a lower cost-per-click. This is great because adding this additional adgroup will not hinder the overall cost of your PPC campaign. Industry average for bidding on your brand name is only about $0.25 per click. Individuals who have heard of your hotel, but don’t necessarily know your URL will specifically search for your brand name. Word of mouth comes into factor here, they have heard of your hotel from family, friends, or social media channels and want to learn more. 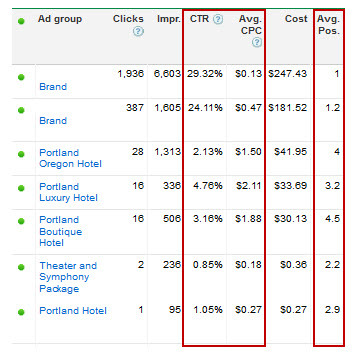 The case study below illustrates a PPC campaign where a hotel is bidding on its brand name along with other keywords in their geographical area. The example depicts a significantly higher CTR, nearly 14 times greater than the non-branded keywords. Additionally, the average CPC is extremely low with the average position of the ad being much higher than the non-branded keywords. This in turn affects your quality score in a positive way. In conclusion, bidding on your brand keywords is crucial to staying competitive in multiple ways. Share your experiences with us in the comments below!